As knowledge of JumpDrive spreads, an ancient race stirs, while another flees a world doomed by a dying sun. 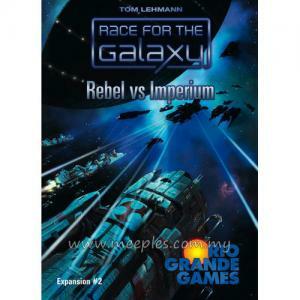 The Imperium grows in strength, provoking further resistance and the hiring of mercenaries. 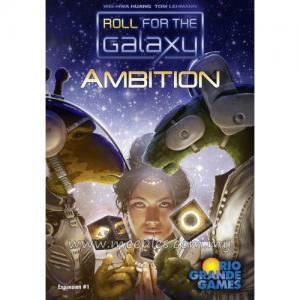 Can you build the most prosperous and powerful space empire in a galaxy edging towards war? 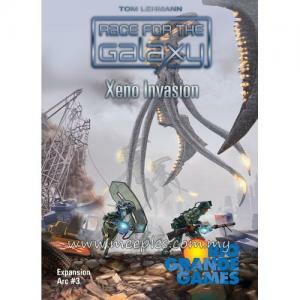 This first expansion for Race for the Galaxy adds 22 new cards, a 5th player, and other ways to expand your universe. 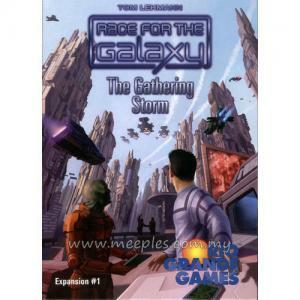 The Gathering Storm also features a solo play variant! 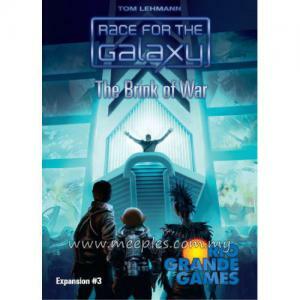 An added element of ten "Goals" ups the competition in this great galactic Race. 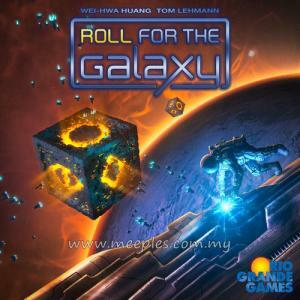 Every game you play can include 4 randomly selected Goals. 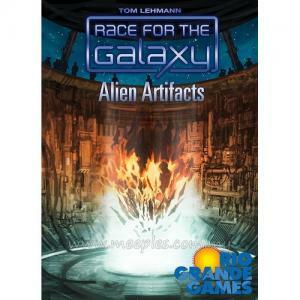 For example, "The First Player to Build 3 Alien Cards" earns 3 Victory Points. Or, "The Most Developments" Goal awards 5 points to a player who has built at least 4 Developments but can be stolen by another player who surpasses that achievement. 4 new Start World Cards, numbered 5 to 8. 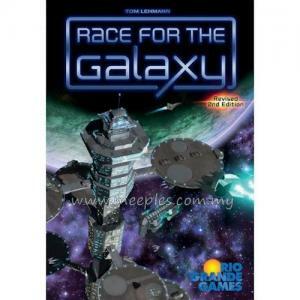 *NOTE* This is not the full game, Race for the Galaxy is required for play.